Microsoft plans to release details soon on the Bing Fund for start-ups and entrepreneurs, an initiative to foster a community based on search and social services. Recent announcements, such as the integration of social into Bing, along with the appointment of Rahul Sood as general manager of Bing Fund from the Xbox entertainment business group, suggest a combined focus. 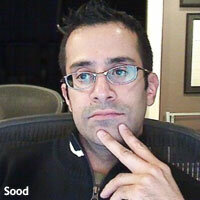 Sood joined Microsoft after selling VoodooPC to Hewlett-Packard in 2011. As general manager, Sood will create and nurture the new program in Bing. While Bing declined to comment, clues tweeted from the Twitter handle @BingFund, such as "pitch decks should be small / don't jam too much text per page / videos are nice," suggest that the company continues to dig deep into the project. Microsoft has built software and cloud computing businesses on developer communities. Now it will try to do the same for Bing and Xbox. Creating a community has been a daunting task for technology vendors," according to Rob Enderle, principal analyst at the Enderle Group. He said it's difficult for engineers to wrap their minds around what it takes to create and nurture a community of search. Building a community around search sounds interesting, Enderle said. "People don't typically get together and chat about what they search about, but we do share a lot of the stuff we find," he said. "That points to the core of Facebook, Pinterest and Twitter." Enderle said Facebook doesn't realize what it created. A gaming community gravitates around games, which becomes a group naturally. Building, maintaining and nurturing a community does not come easily to engineers and developers, he said. "Apple is really the only company that has done it successfully for a long time," he said. Games drive the Xbox community. With the release of Kinect for Windows earlier this year, Microsoft released the Kinect Accelerator, a three-month incubator program and joint venture with start-up incubator TechStars to support companies wanting to build the platform into applications. Companies would get a chance to work with a mentor from Microsoft Research, Microsoft Studios, Kinect for Windows and the Xbox team. They also receive advice from entrepreneurs and venture capitalists. The program chose 11 finalists out of nearly 500 applicants.